President of Chicago's Board of Education David Vitale holds a news conference Sunday night. (CNN) - Tens of thousands of teachers and support staff in Chicago are set to go on strike Monday after their union and school officials failed to reach a contract agreement, the union president said. "Negotiations have been intense but productive, but we have failed to reach an agreement that would prevent a labor strike," Chicago Teachers Union President Karen Lewis told reporters late Sunday night. Minutes earlier, the president of Chicago's school board said officials offered the city's teachers a contract including pay increases and other measures they'd requested. 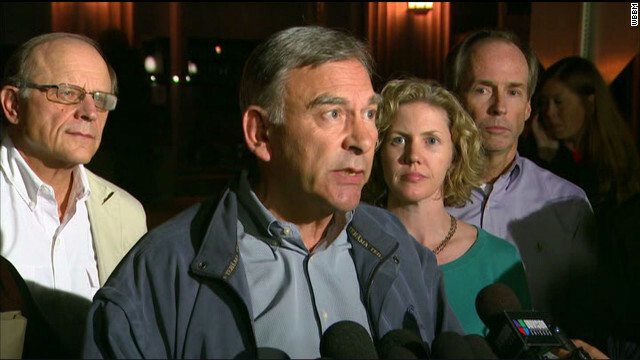 "We've been as responsive as we know how," David Vitale told reporters just before 10 p.m. CT (11 p.m. ET) Sunday.